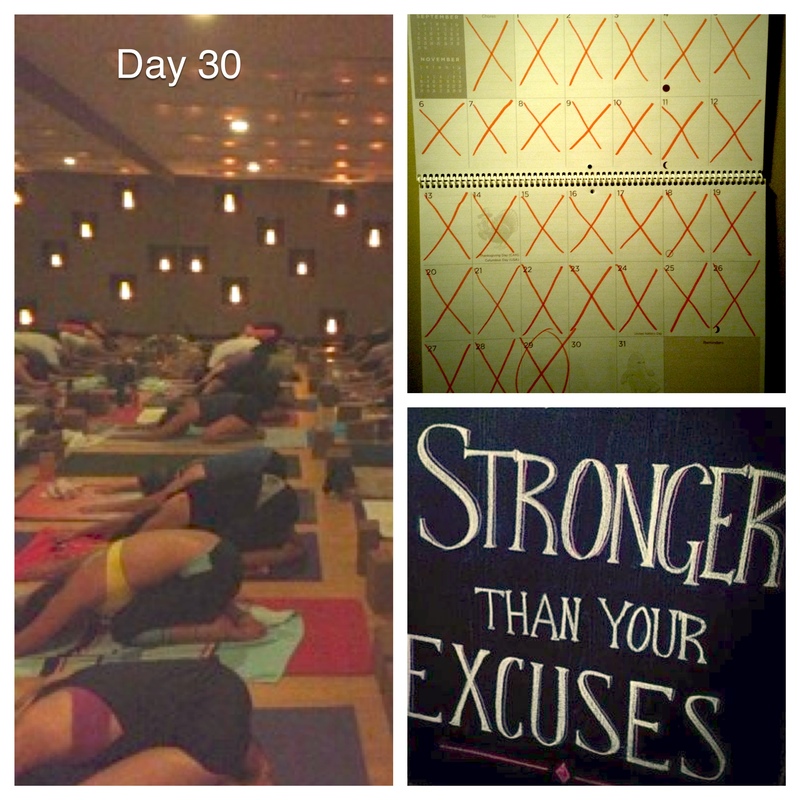 #7: Finish the 30-day hot yoga challenge – CHECK! During the final class of the challenge I was nearly blind from the sweat pouring into my eyes and it was hotter than Hades but I FINISHED. It was a jam-packed evening class and the hot room was boiling. The muscular guy next to me kept dropping to his mat during a particularly gruelling plank series. But even with my sore wrists, I demolished every posture, I sunk deeper into each bend and finished the challenge strong. It feels good to be a finisher. There were approximately 13 of us left, I think, from approximately 56 who started. I can’t believe how different the last class was from the first. That first class was hard. It was hard just to stay in the room, never mind completing the postures. One of the best things that completing this challenge gave to me was knowledge. Knowledge of my body, knowledge of my limits and strengths. It was also an exercise in discipline — I conditioned myself to go to my mat automatically, each day, without over-thinking things. Once you make a decision to do something challenging, it’s best not revisit that decision. Doubt is useless to you. It drains your mental energy and resolve — and believe me, you have a limited supply of resolve. If it’s worth doing, just do it. Just start and keep going until it’s done. Here’s hoping I can carry this willpower through November as I tackle my thesis and one or two other 30-before-30 list items! 2,120 – minutes on the mat! One down, 29 more list items to go! « Day 28: Nearly there! I’m about halfway through my own 30-day yoga challenge (albeit it’s not a hot one – can’t handle the heat.) I’ve been doing yoga for about a year, but I didn’t realize how hard it can be when you can’t take a break from it when your body is protesting. I’m sore all over! Congrats on knocking one thing off your list!